The Capitol Quartet is proud to offer four different educational concerts and four different workshops. Each concert is designed for a different age group as well as for music students and non-music students. Each workshop is designed to address important topics for players and instrumental music teachers. Overview: An interactive program to introduce young students to music. The quartet will perform musical excerpts to demonstrate melody, harmony, rhythm, tempo, timbre, and other basic fundamentals of music. For example, a familiar tune such as Frere Jacques is played to demonstrate its relation to fugues and improvisation. The presentation includes a musical journey of styles with excerpts from the "Bridging the Gap" and "All That Jazz" shows. Overview: An exploration through performance and discussion of the important performers and composers who pioneered developments in music. The program includes interaction with the students regarding their own musical heroes and a demonstration of stylistic characteristics inherent to the music of some of our favorite musicians. Excerpts from "All That Jazz" and "Bridging the Gap" are used for demonstration and performance. Overview: A saxophone-oriented program featuring a dynamic variety of contrasting selections showing the instrument's versatility of timbre, style and technique. The program includes discussion and demonstration of basic acoustic principles, the saxophone family, and historical development. Excerpts from "All That Jazz" and "Bridging the Gap" are used for demonstration and performance. Overview: A formal concert presentation similar to those presented by the Capitol Quartet at concert halls throughout the United States. This program includes a lively discussion regarding concert etiquette that is intended to educate as well as entertain. Examples include excerpts from our 'Bridging the Gap" Show. 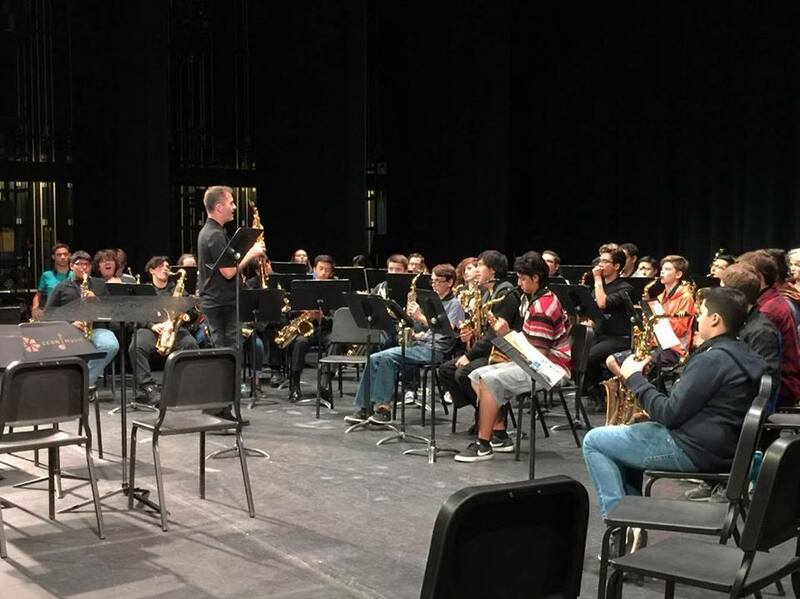 SYNOPSIS: Designed for music educators and students, this dynamic workshop will present practical exercises to help teach young saxophone sections to perform with a unified sound. A selection of saxophone quartet repertoire will be introduced, with excerpts chosen to develop tonal production, pitch, listening, rhythm and articulation in young players. Based on an article written by a founding member of the Capitol Quartet, Anjan Shah, for Instrumentalist Magazine, this clinic will re-energize band directors, arming them with tools they can put to immediate use. SYNOPSIS: This seminar for students and music educators will focus on the fundamentals, helping saxophone students to sound better by addressing extremely important topics - Embouchure, Reeds, and Equipment. 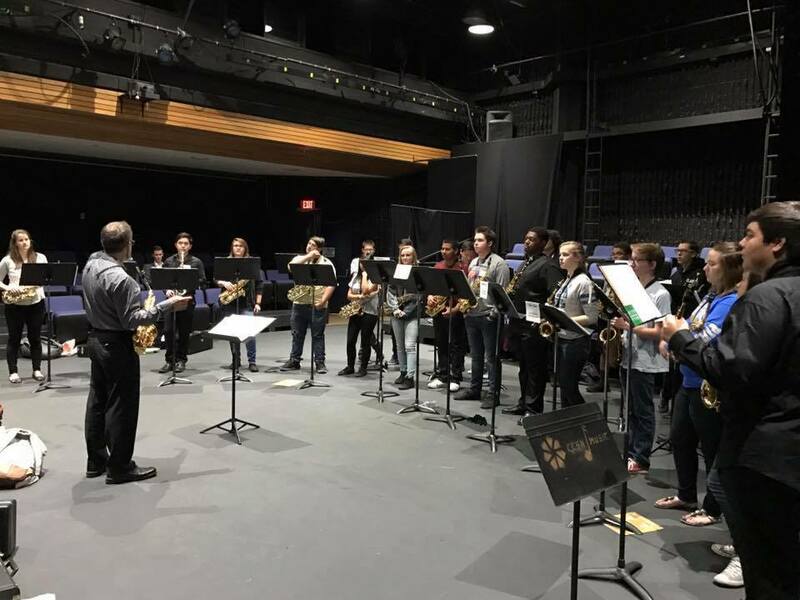 The first portion of the workshop will examine proper shape and formation of the embouchure, and present techniques for helping students implement and maintain a good embouchure. Then, we'll turn to a discussion and demonstration of selecting, breaking in, storing, and adjusting saxophone reeds. Finally we'll review types and brands of mouthpieces appropriate for various styles and ensembles. The presentation will include excerpts performed by the Capitol Quartet, and handouts for the student's and educator's future reference. SYNOPSIS: This seminar will address basic jazz improvisation through the relationship of chords and scales, and their application in tunes and the blues. The session will start with modal tunes and slow harmonic motion, proceed to simple chord progressions, and culminate with ii-V-I's and the blues. Scale and chord practice exercises as well as melodic examples for direct application to improvisation will help students further develop their skills. The presentation will be accompanied by extensive handouts for the educator's future reference. SYNOPSIS: Whether it's a small combo or big band, the success of any jazz ensemble depends on good listening skills. This presentation will give music educators new tools to teach young musicians how to listen and respond within a jazz ensemble context. Experienced clinicians will present ideas and teaching models for guiding students to spontaneously compose, accompany, and improvise on a jazz tune - all within a 45 to 60 minute school band rehearsal. The presentation will be accompanied by extensive handouts for the educator's future reference.